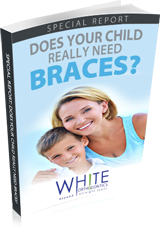 A more discreet treatment alternative to metal braces is ceramic braces, which are made to match the color of the teeth. 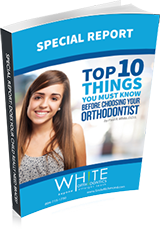 You can even choose tooth-colored brackets to blend in with your teeth, so they are even less noticeable. Clear ceramic braces are made of a clear composite which doesn’t stain upon eating or drinking. This allows you to straighten your teeth and obtain a beautiful smile in less time and less visits!